"Nepali workers going abroad are the largest passenger base for us, but the number of corporates, tourists and passengers visiting friends and relatives flying with us are also growing," Samir Chada, country manager of Jet Airways in Nepal, said. "Around 900 passengers from Kathmandu fly with the airline daily on an average. The five daily flights from Kathmandu are a landmark achievement for us," he added. 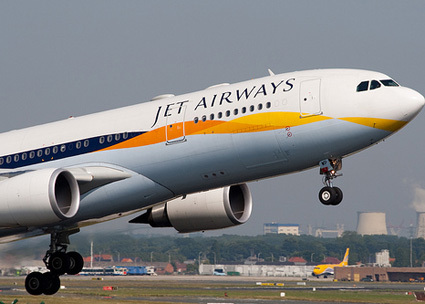 Jet Airways took the second position in passenger carriers in 2013 in Nepal. It flew 314,462 passengers last year, up 7.75 percent. Jet holds a 37 percent share of the total passenger occupancy among Indian carriers.